A Mother Bird Tries To Save It's Young? ​the lines on your palm? Or any human with hands etc. ​Cows or Steer-Like Animals Loose Their Footing Or Containers Of Those Types Of Animals Lost It's Footing And Then Container Broke And Had To Be Mended Etc. Important: Don't forget to really look at all the odd "hand gestures"
because they truly seemed to be showing the flow of the story. or animal, creature like etc ! Please study the photos and see if you can get and understand of the odd looking hands. Because they are truly in many Curiosity Mastcam photos ! The ones that are telling stories in sculpture form that is ! Important to ZOOM in to see text and image better ! ​To be honest, it is AMAZING to me how many diorama-like story sculptures there are on Mars! The area that Curiosity Rover is in must be in a memorial area dedicated to a terrifying cataclysm when they lost their atmosphere ! "Coming out" of the two figurine like objects seem to represent a lack of food or water or both ! All seem to be showing an ancient cataclysm because obviously there doesn't seem to sea creatures now on mars! It all points to an ancient cataclysmic event. And I really think it was when the Martians lost their atmosphere ! Martians KNOW about subtle sculptures! fake rock form, in fake rock mosaic form. So many forms it is hard to number. Can you see the repetition of the ancient cataclysm? present day and the current Martians are sculpting their stories and probably did so a long time ago as well ! resulting from a massive solar flare in ancient times as told in Ernest Norman's book "The Truth About Mars". Another Martian Artistic Approach In The Destruction Of Mars! *They really do love to tell stories of their ancient cataclysm! In a very sacred memorial kind of way! ​the list goes on and on and on! Amazing to say the least! ​of how objects come out of these terrace looking sculptures? I hope you do, because it is ALL OVER THE PLACE ! Please read what is in the black rectangular box to the left below! In it, it talks of how Martians had to go underground because of a solar flare. As indicated in Ernest Norman's book: The Truth About Mars! And of course that solar flare could of consisted of TWO impacts, a "father-child" type of impact. The first one seem to be the smaller one, not braking the seam of mars and the second one doing the real damage. As indicated as I've said before in the image above. = Martians Low On Water After Catastrophe In Ancient Times? The Slipping Or Movement Of The Surface Of Mars ? Notice also how the "evil glove" looks like a toilet top ! have died because of a great cataclysm when mars lost it's atmosphere! ​that terrible event that ended life as they knew it and had to go underground to survive? Curiosity rover is photographing martian memorials ! * The "directional gesture" is like a wall meaning it's not going that way! (It sure seems to me). Please notice who both faces seem to be "pulling" from the back of their heads etc. Lowest image is from "Startling 1." on my menu! Martians utilize the backs of their heads for expressions or sides of heads etc! Horses Trying To Drink? Or Desperate For Water? the right as well ! Please zoom in to see my descriptions better ! comes to sculpture dioramas or floor sculptures! In this case a flattened out dead sea creature or fish! are waiting for all those sculptured object representations to the right. The objects to the right seem to be heading towards that area with the thick white streak. Notice what looks like a shoe but but flattened on the front end! And to the far right notice what looks like a foot with the same area flattened but also flatted in the same location as the shoe. See how it truly tells a story? Of a calamity when the martians had to go underground to survive? There is more to this image that what I have said for sure! Foot-Battery Clamp With A Special Martian Story? in position as in relation to something else! A Sculptured Section Representing A Part Of Mars? A very important story seems to be coming out of it ! to, is it a story of an ancient catastrophe? Where a vital piece of land broke open ? Like we have earthquakes and it divides the land in two etc. methodically tell us about it with out saying anything verbally! trying to show us the rudiments of martians sculptures so we get the basics? And when we start to understand the basics they will give more? Just Takes Two Sculptured Objects To Tell A Story! A Foot breaking what is below it ! look what is contained in these sculptures. Take a look at the imprints. You should start to be able to see martians DO tell elaborate stories. seems to be 1. the foot and 2. breaking what is below it ! at least more than a few times!! Sea Creatures Struggling To Get Upstream Then Dying? Notice the use of white! Could be verbal as explained in my "White = Verb" section! The "Foot" and "Tank" = Water Getting Low and Giving What They Can To The Last Of The Sea Creatures? There is a lot of meaning in this image in my opinion. All these sections are loaded with martian stories. But what I find fascinating is when you run into images that seem to be bursting with a story because the floor sculptures are loaded with metaphors! What is a metaphor? - A metaphor is a figure of speech that identifies something as being the same as some unrelated thing. But the two unrelated comparisons work together to form a strong thought to deliver a very important message to the reader. In this case it is sculpture metaphors. A foot not meaning just a foot but it is the lowest part of a body. A tank is not just a tank but seems to be supplying water to possibly the last of sea creatures etc. is bent towards the somewhat square object! There are terraces in the square sculpture that after seeing so many, I've come to the realization that it must mean many. Of course martians have more meanings than just this. But nasa makes things so damn fuzzy that you can hardly ever see what is on the real surface of these obvious sculpture type dioramas. Which seem to always point towards memorials to sea creatures. Being that they seem to be vacant oceans etc. If you look close at the square sculpture there are indications of fish looking designs or sea creatures etc. like the mouth opening by the toe! Martians it seems, love to show designs wth subtle sculpturing! Please think of what I am saying because I see it time and time again. Almost like Chinese writing where a few strokes of the pen bring out great meanings and thoughts ! So important! How else could the martians convey their disasters and calamities to us? But through art that is universal. If we went to Paris and saw their tearful oil paintings of their terrorism, it would really stick in our minds that these are important events even if we didn't know their language. with martian's wonderful floor sculpture-metaphors! It is visual like the news in america on TV though we do not know the French language. The French are having their calamities through terrorism! Being shown on TV for us to understand ! ruined their planets oceans, sea creatures, through their sculpture disaster dioramas! A Story Of Land Splitting? Please notice the two sculptured sections below! The top one seems to have imprints of sea creatures falling into drawer! The bottom one seems to have sea creature heads coming out of terraces. coming out of sculptured terraces! So often seemingly telling stories of cataclysm! At least it seems that way to me! Being that so much of what nasa photographs through Curiosity seems to be memorial like done is sculptured form! Repetition - More Hints To Martians Telling Stories Of Their Ancient Disasters. More hints of these sculptures being memorial related! Pointer Telling Mud To Leave! mars anciently? Almost every sculptures I've seen seems to be related to martian catastrophes or a primary mars catastrophe like when they lost there atmosphere! The third image below (bird-wing-arm) seem to be pointing upwards! And a bird looking sculpture seems to be facing upwards! Do you notice this? Of course the meaning of the bucket is not just a bucket ! terraced land that seem to be visual amongst these detailed sculptured objects. The land with the leg in a bucket seems to have platforms, Looks very memorial-like. Something similar to Chinese Ink Stones if you know what I mean! Ernest Norman's book: "The Truth About Mars" ! Because the martian official noted in his book "Nur-El" seems to know quite a bit about his planet's history from a 100,000 yeas ago in which he claims they lost their atmosphere and had to go underground! 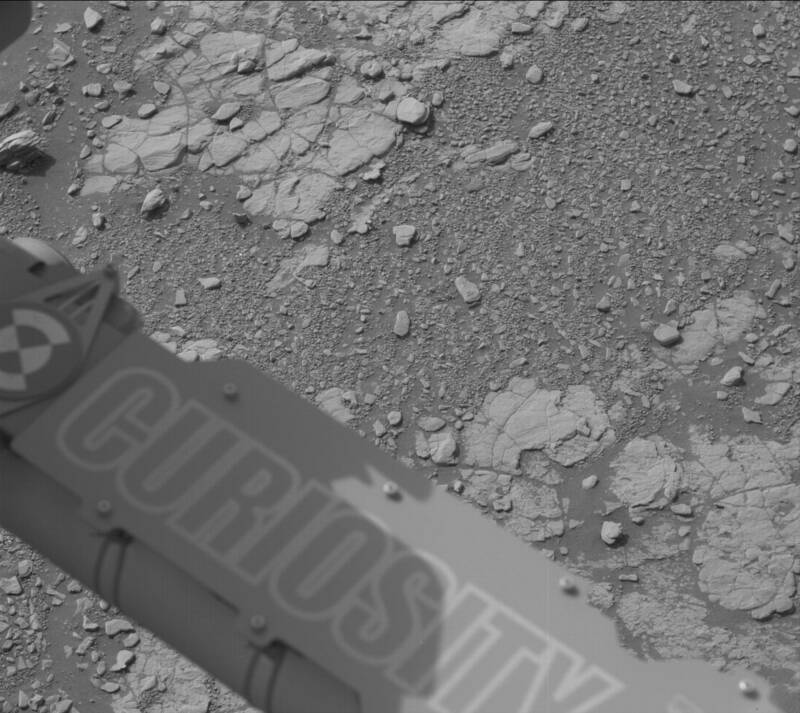 Main Image From Nasa's Curiosity ! Again, notice the "leg in bucket" ! Upper left corner of image below! Or is it a bucket to look like sea creatures etc. Remember Martian are full of multiple meanings! So important to start to understand their sacred sculpture-language ! Up And Down - Going In Two Directions! Can you see the foot? Seems like the disaster scene centers around it! are tied together in a single row and could be a long winding row as well. Such as a fish mouth over a fishes tail. Like rows of elephants you would see in a circus if you know what I mean. Does this "white" mean a terrible ancient catastrophe in mars very distant pass when they lost their RIVERS, oceans , atmosphere and sea creatures all at one time? And the skeleton head was mars main center of operation? Or a meaning similar to that? Second Part Of Top Image! Person or animal in blanket. In need of help = person or animal in blanket? Going With The Flow Of Death To Sea Creatures! This image really does seem to show how sculptures of water seem to be draining and morphing into fish. Can you see the pattern? I know I can! Please look close! Does this mean the disappearing of water from mars that started anciently when mars lost it's atmosphere? Maybe that little "drip" also represents a hanging dead fish. Gasping for it's last breath because finally and sadly the water gave out? stories and not pareidolia. When things repeat over and over and over again. It truly leads further and further away from any possibility it's pareidolia! Body Parts Being Spit Out By Sea Creature? ​two shoes in sculpture form! There is a smaller mouth with a finger and fingernail in it! That mouth seems to be accenting the larger sea creature taking apart the complete body ! These two photos have been lightened up on purpose to show more detail ! Please look very close! Notice the "teeth" of the creature (to the middle right)! Notice how little they are ! This isn't about a creature eating a martian, as it would be passing through the body and the body is already decomposed or at least partly decomposed! It seems to be spitting it out because there isn't much to it. Gruesome as this sounds, I really think there is truth to what I am trying to convey! The martians seem to be masters of story dioramas. If the story needs to show a sea creature not eating the victim, by showing tiny teeth, it is emphasizing just spitting it out, basically passing through the terrible carnage. The vertebra being larger must have a special meaning such as it was too big for the creature to have any interest in what so ever? In other words, martian stories may seem out of proportion or too large, weird looking but they are just that too emphasize the story line! It truly seems like Nasa is going through a memorial area unlike we as earthlings have never seen before. That place MUST be incredibly sacred to them but the martians must have a passion and goodwill for nasa to be allowed to go through these truly sacred grounds. I really do think Curiosity was built with the memorials in mind so it's long arm etc. can just reach over and take photos like a giraffe. Being so careful not to disturb martians sacred creations, or should I say ones martians deem sacred! The martians MUST have untold thousands of stories that have been passed down through tens of thousands if not hundreds of thousands of years. We can't understand this because our civilization is not nearly as old or had any interest in recording such a long time ago anciently. That is another reason there is such a need to have more information about OUR PAST! This looks like a tie-in to the broken or split shoe! A True Rock Story ! Main Theme of Stories In Middle ? Each Section Has It's Own Story? Another Martian Story Utilizing A Possible Tube In The Back of Head! Even if I don't know the full meaning of these martian story sculptures. They have to be truly sculptures telling stories of disaster ! Too much points in that direction. I see tell-tale signs it way to often ! Sections breaking off of outer coating but also could mean dead sea creatures covering so much land that this martian needs to escape? They seem to be done in terrace form with imprints that seem to be of sea creatures. So many with mouths that look like they are hunting and hurting for water. And how could that really happen if it wasn't martians loosing their atmosphere because of a solar flare etc. Hiding And Running From Debris? that have died during what seems to me when martians lost their atmosphere. And to promote the concept of millions of creatures, they are sculpted in minuscule terrace forms with a trace of ethereal to show movement of creatures either in the act of dying or have died etc. Creatures seem to be hiding from falling debris! The arm-snake below looks like it is leading others! * Lower image I should of stated "right arm"! Sorry! An Arm Is Not Just An Arm With Martians! Sea Creatures Fighting Off Oil To Survive! Is this a message to us? child like arm going to the mouth (converting into sludge?). Can yo see that naive smile? Tell Tale Signs Of A Story! Terraces Help Develop Many Martian Stories! Why Tie-Ins Are So Important To A Martian Story! Objects Thrown, Wrapped, Twisted and Dropped! Salt devastation or something menacing where sea creatures must flee? Martian Poop Processing Plant ? A story of ancient survival on planet mars? Please zoom in to see my descriptions ! Article about Bill Gates experience with the "poop processing plant" ! The Delivery and a possible meaning for the bird beak and bird head ! Truly looks like more than one bird (space craft?) carrying possible feces in! Martian story with the use of wings, arms, faces, hands etc. Mars Mass Destruction of Epic Proportions! Elephants seem involved in this martian story! Objects and impressions repeat in similar styles too much to be by chance! Boxing = Pounding the Mars Coast With a lethal Storm of Storms !